I love getting Blogger Mail. I love the unexpectancy (not a word but hey) of it and even though you know it may be coming, you're always excited and full of anticipation when it does. That's exactly what happened just before Christmas when Wren Kitchens sent us the final, bound copy of their #WrenFamilyFavourites Recipe Book that we were privileged enough to have been a part of. A few months ago, they invited us to come up with our Family Favourite. The one recipe that reminded us of our childhood and one that had been passed down to us. After thinking about it for ages, I finally settled on the Spaghetti Bolognese recipe that my mum had taught me many years ago, and that I've continued to adapt. To see my original recipe post - click here. Here's what came in the post! Sections for both Savoury and Sweet recipes, this book is my new favourite addition to my kitchen library! 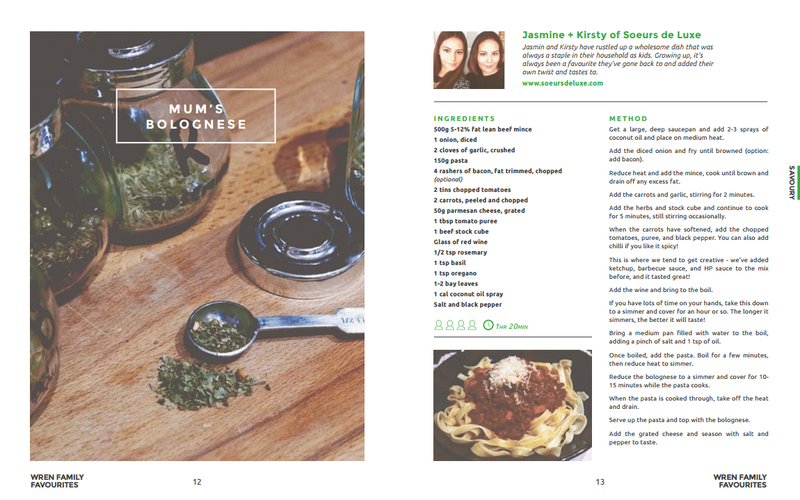 You can download your very own copy of the Recipe Book HERE!